This 6 sided Arfvedsonite crystal standing polished point is a strong stone for spiritual growth. Arfvedsonite crystal helps you to re-organize and restructure your life, bringing extraordinary insights and a strong positive energy. Arfvedsonite stone aids you to remove old patterns, so it helps you to deal with adapting to new situations. It is particularly useful to allow you to see any negativity within yourself. It has a positive energy that helps to drain out negative thoughts and will aid you to begin to think in new way, as it stimulates positive thought. Arfvedsonite crystal has many powerful attributes, and it is a stone that has the potential to produce amazing manifestation. 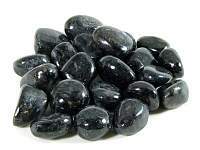 Using Arfvedsonite in meditation will help you to experience psychic visions that may assist you to predict the future. 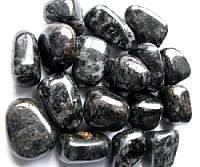 Arfvedsonite crystal aids brilliant manifestations that will help you on your spiritual journey. It helps you to create a clear path ahead. If you place a piece of this stone on the third eye during meditation its action is swift and very powerful. 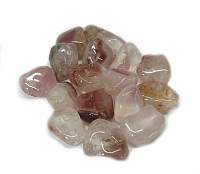 It aids psychic communication as well as normal communication. 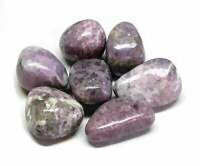 It has the ability to develop your intuition and it may aid you to learn to be psychic. Use it with some of the blue communication stones to boost their effectiveness. In particular you may use it with Blue Lace Agate, Blue Aragonite or Amazonite. Arfvedsonite polished stone is a powerful aid to lift your spirits if you have been feeling depressed. The energy of Arfvedsonite is very reassuring. 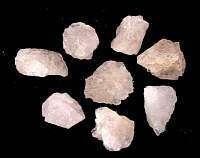 This crystal has been used to lift one from a depressive state, to see hope and joy in the coming future. 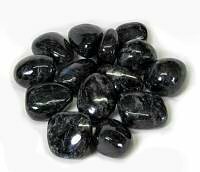 Arfvedsonite will aid you as you gain knowledge and insight into your life path. Its energy will aid you to locate and release any energy blockages in your body. The light within you will begin to flow... from you to others... creating a stream of light and a flow of deep joy. It will flow first within your personal world... then out to the whole planet. 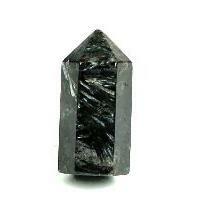 The energies of Arfvedsonite stone is also quite strong within the throat chakra. It will help you to see the truth, and to be able to communicate very accurately with decisiveness. Its energy within the crown chakra may help you to change your life, particularly if you are going through major times of transitioning, to new circumstances in your life. It assists you to re-organize and restructure your life. Within the stone you will see the flashes of bright blue which are said to be a sign from the Divine spirit, of the light that Spirit offers us, when we ask for it. It has been used to help one focus on and understand dream symbols. Arfvedsonite is known to chase nightmares away and to bring sound peaceful sleep. Arfvedsonite is likely to make you very ungrounded. 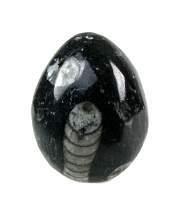 Try to use it with a strong spiritual grounding stone such as Black Tourmaline. It also harmonizes well with moldavite, tektite, scolecite, smokey quartz and hematite. Arfvedsonite is sometimes known as Astrophyllite, but that is incorrect, they are two different minerals. A short list of Metaphysical properties are: courage, promotes forgiveness, communication, awareness, intellect, self-confidence and insight. Enhances psychic ability and meditation. Reduces apprehension, guilt, self-doubt, depression and procrastination.